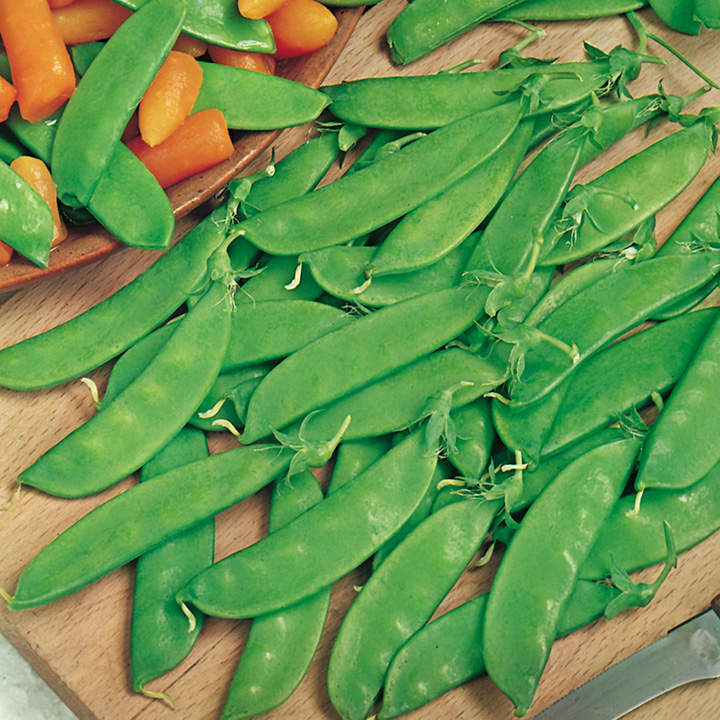 A delicious 'Mangetout' Sugar Pea with long, fleshy, slightly curved pods. Gather while young and cook them whole. This variety has been trialled, tested and recommended by the National Institute of Agricultural Botany. 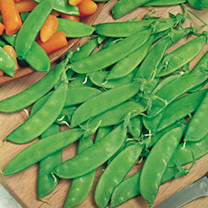 Snap Peas (Mangetout) - These Peas have edible pods which are thick and juicy - so no shelling is required! Round, firm and sweetly delicious, the tender young pods can be cooked and served whole, or if preferred, the peas and pods can be prepared and served separately. Height 105-120cm (3½-4').